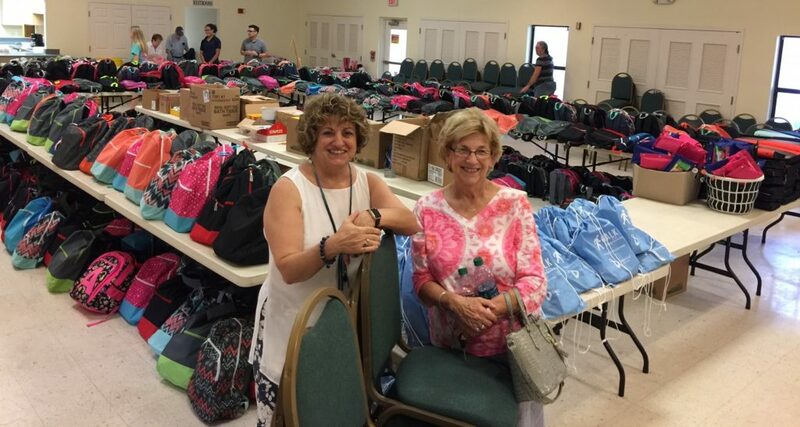 Join us for our Quarter Auction, to benefit the community-wide Backpack Giveaway next August, on Wednesday, Oct. 25 at 6 p.m.
Bring a package of socks and receive a free raffle ticket. Hot dogs, chips and a drink will be available for $5. Wine will be available for a donation of $2; soda/water available for a donation of $1. Paddles will be available for $1. There will be a 50/50 raffle (up to four raffles). Vendors can rent a table for $15. Call 772-985-9997. For more information on the auction, call 772-286-5455 or go to www.stlukesfl.org.